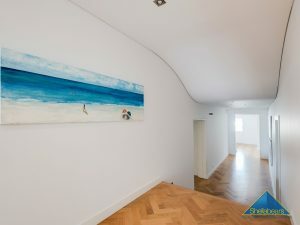 Designed by renowned architects, Overmann & Zuideveld, The Dune offers the ultimate in sophisticated beachside living. 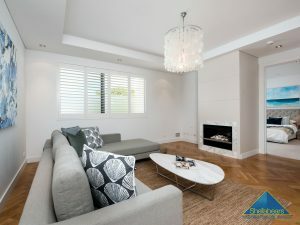 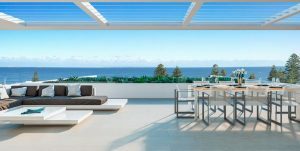 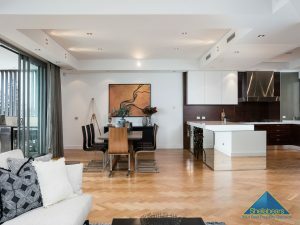 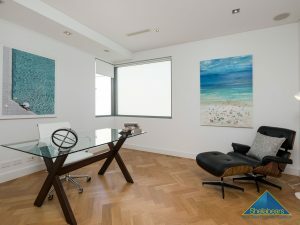 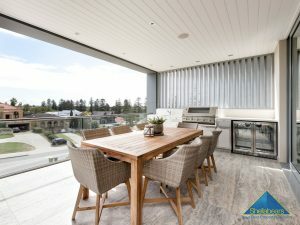 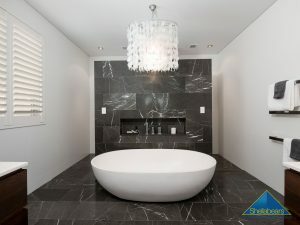 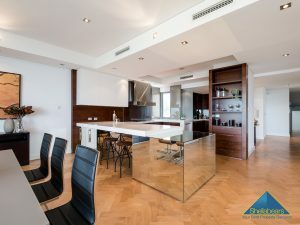 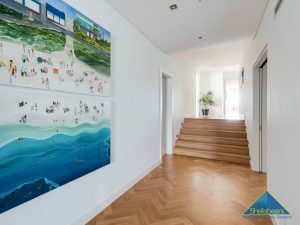 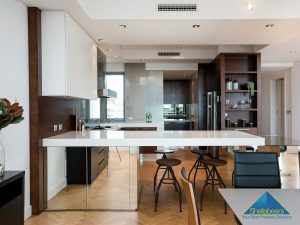 The residence is merely 1 of 2 and occupies the entire 1st floor offering 361sqm of elevated living space (plus the additional storerooms and parking) with phenomenal views from Rottnest in the West, to Hillarys up the coast to the North and the iconic Cottesloe Norfolk Pines to the East and South. 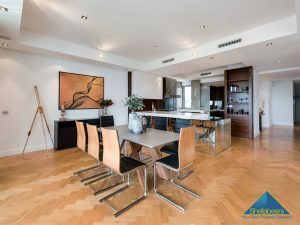 The open plan living and dining area are served by a stunning kitchen complete with a secondary butler’s pantry housing all Gaggenau appliances. 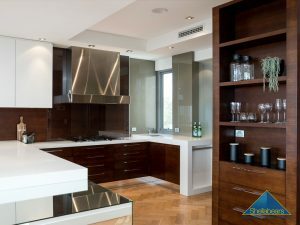 A combination of stone, timber and mirrored plinths create the effect of a floating kitchen bench. 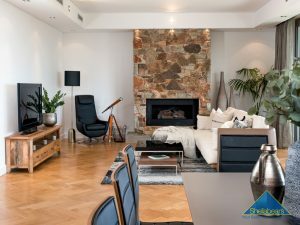 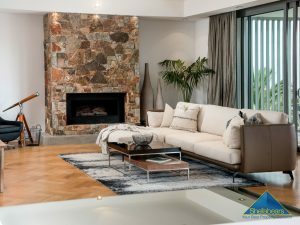 The stone hearth and fire is a beautifully refined feature that demonstrates the no compromise approach to the building by Award Winning Builder – Humphrey Homes. 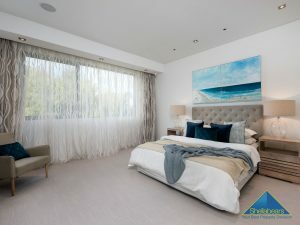 There’s extra spaces too, a full sized study and the second living area ancillary to the master suite offers a calming space to retreat, and a way to catch a view to Gage Roads. 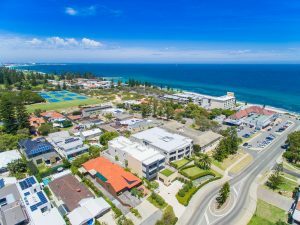 This is how you want to live in Cottesloe. 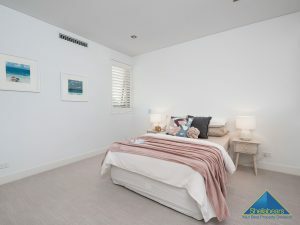 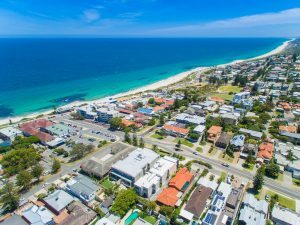 Walking distance to the beach, surf club, cafes, restaurants, local IGA in North Cottesloe, central to everything. 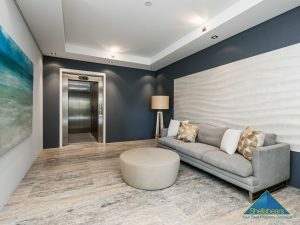 Three car parking and 3 visitors bays and plenty of storage comes with the apartment so there’s no need for a downsizer to downsize! 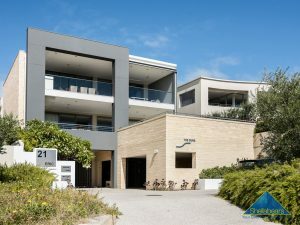 Absolutely the best apartment on the market in Cottesloe, and one of the best ever built. 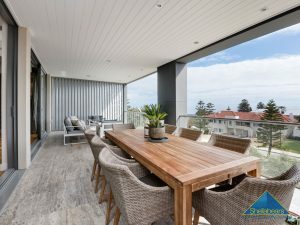 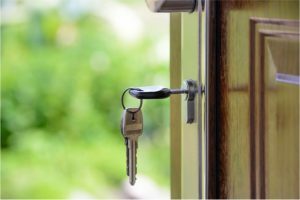 So, all you need now is to choose your new furniture and dust off the SUP or your old Cordingley 6 footer and get living in your new home by the sea, above and beyond everything else. 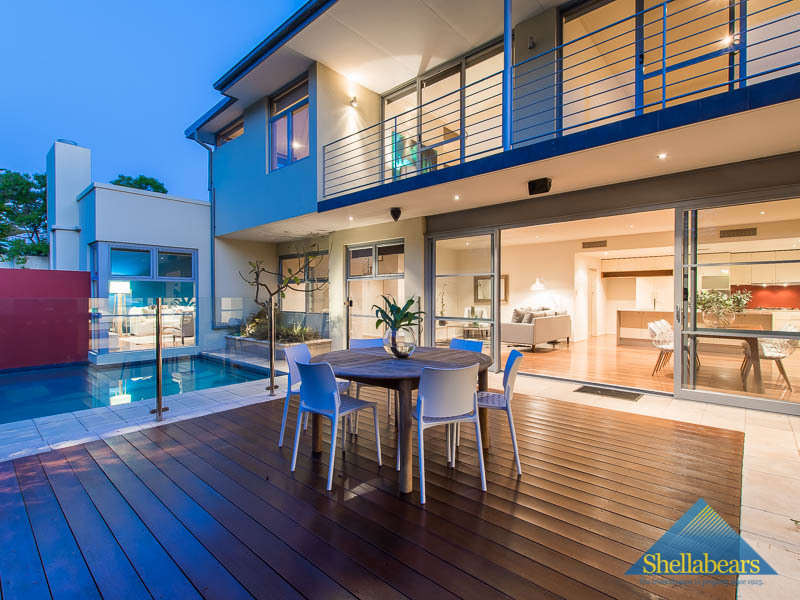 We are excited, and you will be to.